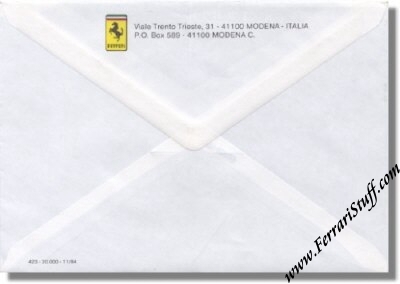 Very rare Ferrari card with envelope. 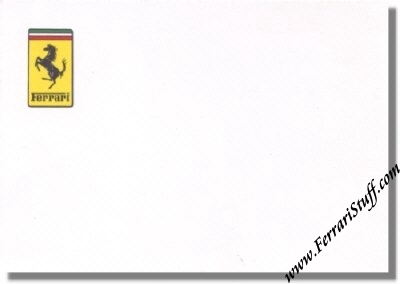 A blank 6 x 4 inches card with the official Ferrari logo and the original Ferrari factory envelope. The envelope has a number and i.e. # 423 -20.000 - 11/84. This envelope has the logo and the complete address in the back while it is blank in the front part. These were used by Ferrari and Enzo Ferrari for personal messages. This card and envelope are 1984. Very scarce Ferrari internal item.